Double vision, or diplopia, can be a debilitating condition that greatly affects everyday life. There are many sources of double vision, some of which can be found in our other article – click here. 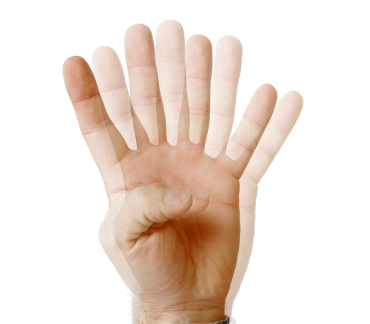 This article will discuss some of the treatment options for double vision. The source of the double vision will need to be determined first and then an appropriate treatment option can be reviewed by your eye doctor. Most double vision problems result from problems with the muscles that move the eyes or the nerves that stimulate them. For many cases, the muscle imbalances have been present for a long time, but over time, has become too difficult to keep the eyes working together and double vision is the result. Treatment for adults with this form of double vision include eyeglasses that have “prism” added to them. Prismatic lenses redirect the image through the eyeglasses so that it’s easier to keep the two images together. Prism takes some adjusting and the amount of prism needed may increase over time. For patients needing a large prismatic correction, surgery to align the eyes may be indicated. In some surgical cases, prism is still needed afterwards, although usually less. For children with double vision issues related to muscle imbalance, eyeglasses or surgery may be indicated. However, in some cases, visual therapy is indicated to build up the strength of the eye muscles to allow them to work together more efficiently and comfortably. In rare cases prismatic eyeglasses, surgery, or therapy will still not correct double vision. In these cases, patients may need to patch an eye to avoid seeing double. Another option is to ask your optician about frosting a lens as a more cosmetic appealing option. A third options is a contact lens that blocks the vision just like a patch does, but is not unsightly. See your eye doctor for all of your options and be sure all sources of the double vision have been investigated to be sure there is no serious underlying problem.